Today’s data centers are increasingly filled with dense rack-mount and blade servers that host powerful multicore processors. The rapid increase in in-rack computing density and the increasing use of virtualization software combine to accelerate the demand for 10 Gigabit Ethernet and consolidated I/O: applications for which the Cisco Nexus® 5000 Series Switches are an excellent match. With low latency and choice of front-to-back or back-to-front cooling, copper or fiber access ports, and rear-facing data ports, the Cisco Nexus 5000 Series is designed for a broad range of physical, virtual, storage access, and high-performance computing environments, thus giving customers the flexibility to meet and scale their data center requirements in a gradual manner and at a pace that aligns with their business objectives. The switch series, using cut-through architecture, supports line-rate 10 Gigabit Ethernet on all ports while maintaining consistently low latency independent of packet size and services enabled. It supports a set of network technologies known collectively as Data Center Bridging (DCB) that increases the reliability, efficiency, and scalability of Ethernet networks. 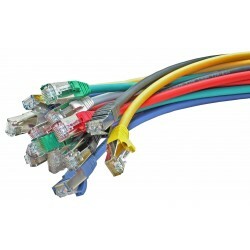 These features allow the switches to support multiple traffic classes over a lossless Ethernet fabric, thus enabling consolidation of LAN, SAN, and cluster environments. 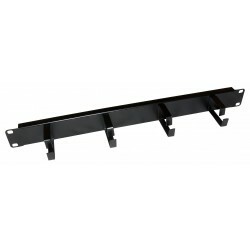 Its ability to connect Fibre Channel over Ethernet (FCoE) to native Fibre Channel protects existing storage system investments while dramatically simplifying in-rack cabling. In addition to supporting standard 10 Gigabit Ethernet network interface cards (NICs) on servers, the Cisco Nexus 5000 Series integrates with multifunction adapters called converged network adapters (CNAs) that combine the functions of Ethernet NICs and Fibre Channel host bus adapters (HBAs), making the transition to a single, unified network fabric transparent and consistent with existing practices, management software, and OS drivers. 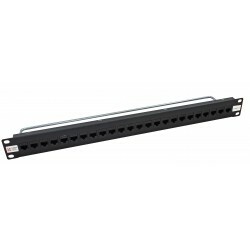 The switch series is compatible with integrated transceivers and Twinax cabling solutions that deliver cost-effective connectivity for 10 Gigabit Ethernet to servers at the rack level, eliminating the need for expensive optical transceivers. 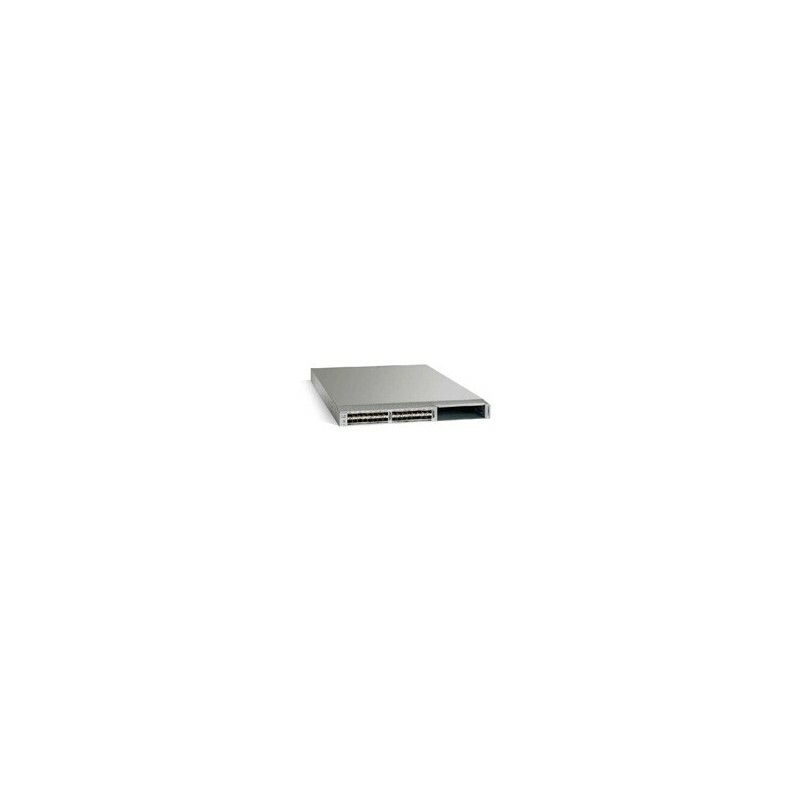 The Cisco Nexus 5000 Series portfolio also provides the flexibility to connect directly to servers using 10GBASE-T connections or fiber with Enhanced Small Form-Factor Pluggable (SFP+) transceivers. The Cisco Nexus 5000 Series is designed for data center environments with cut-through technology that enables consistent low-latency Ethernet solutions, with front-to-back or back-to-front cooling, and with data ports in the rear, bringing switching into close proximity with servers and making cable runs short and simple. The switch series is highly serviceable, with redundant, hot-pluggable power supplies and fan modules. It uses data center-class Cisco® NX-OS Software for high reliability and ease of management. In a constantly changing business environment, companies are calling upon their IT departments to help them reduce costs, improve productivity, and introduce new ways to interact with their customer base. The Cisco Nexus 5500 platform extends the industry-leading versatility of the Cisco Nexus 5000 Series purpose-built 10 Gigabit Ethernet data center-class switches and provides innovative advances toward higher density, lower latency, and multilayer services. The Cisco Nexus 5500 platform is well suited for enterprise-class data center server access-layer deployments across a diverse set of physical, virtual, storage-access, and high‑performance computing (HPC) data center environments. The Cisco Nexus 5548UP is a 1RU 10 Gigabit Ethernet, Fibre Channel, and FCoE switch offering up to 960 Gbps of throughput and up to 48 ports. The switch has 32 unified ports and one expansion slot.